Tora Dora is a greating manga ! awwwwww lovely! thanks for sharing!? Thanks for sharing the Pic! i love this picture! they all look so cool! thanks for sharing, cool scan! Kyaaa~~~...QUE LINDO!...Que rico SnoW...Lastima que en Colombia no hay Nieve...Solo Lluvia!...GRACIAS POR EL SCAN! 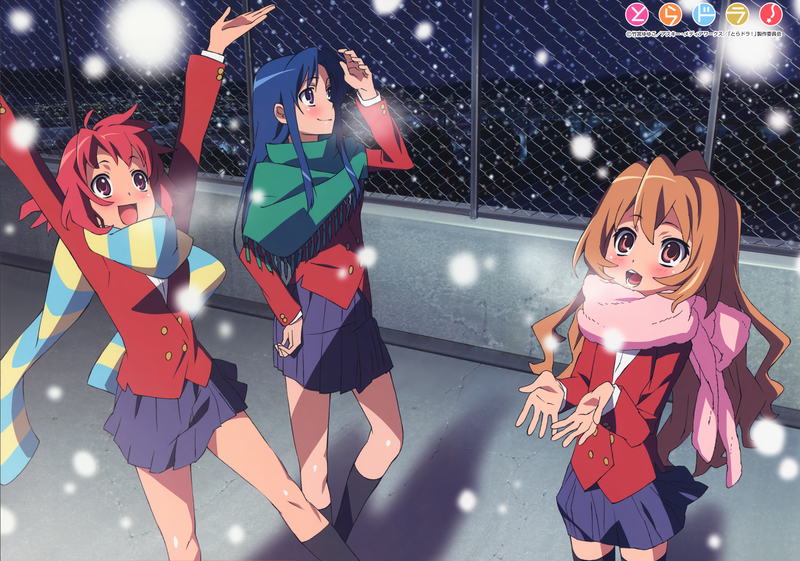 Toradora was, is, and will be one of my favorites anime x) thanks for sharing!